I usually cook up 5 or 6 at a time, start with boiling my water, when water is ready carefully with a big spoon drop into water, set timer for 10 minutes. 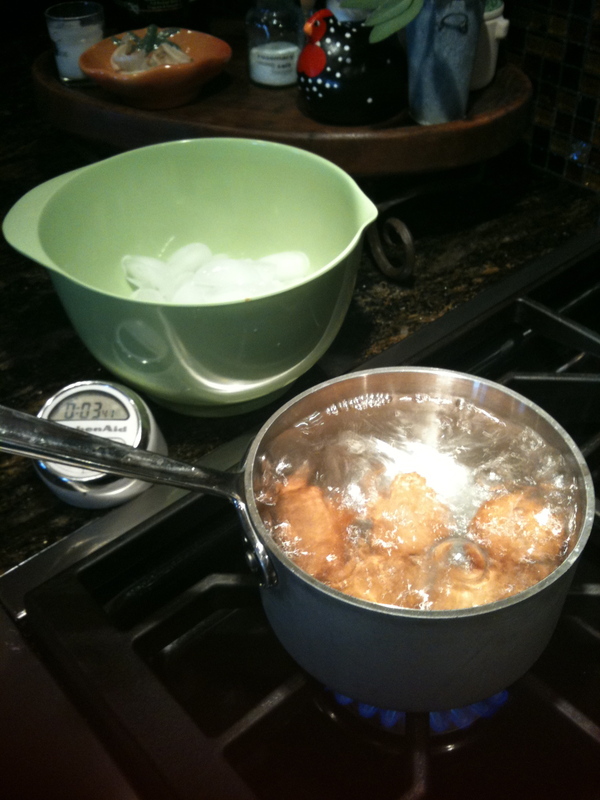 While waiting I prepare a bowl with ice, when timer dings pull eggs out and place in bowl. There they sit for at least 10 minutes or until completely cool. I dry eggs off, place in a dry bowl and store in frig. 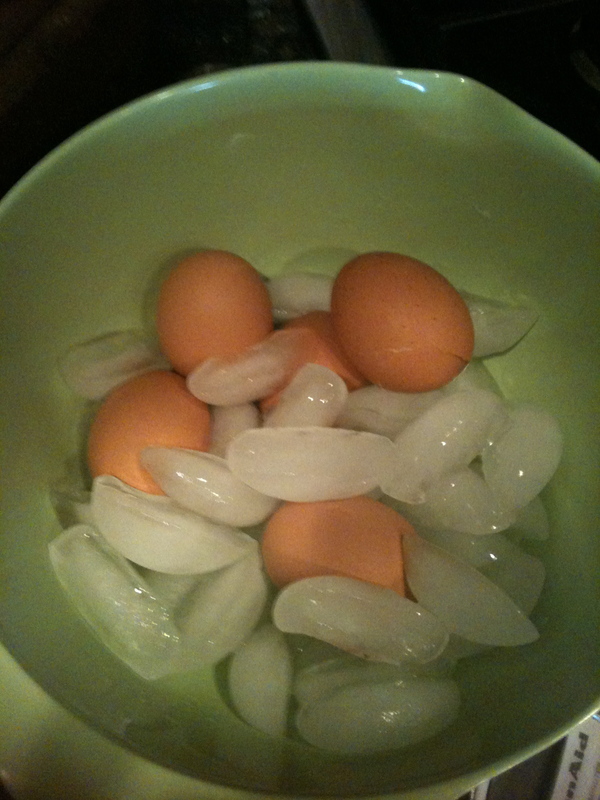 Here is the secret to the perfect egg, the ice bath. It slightly shrinks the egg from the shell while flash cooling and makes them a cinch to peel, making for a beautiful egg. I use large brown Organic Eggs & a small pan for the 5 eggs. As far as the cooking goes you will need to adjust to what size eggs you use to how many you cook.Here’s to no more hard to peel eggs! There are 78 calories in 1 large Hard-Boiled Egg. Calorie breakdown: 62% fat, 3% carbs, 35% protein.